Longtime Eastman School of Music violin professor Zvi Zeitlin died yesterday at the age of 90. He taught at Eastman for 45 years, and his students have gone on to careers as concertmasters, professors, competition winners, orchestra players and recitalists all over the world. Zeitlin joined the Eastman faculty in 1967 and was founding member of the Eastman Trio. "Mr. Zeitlin was very clear in his teaching, giving the bare bones of the technique to the students, making it much easier for them to execute their notes and musical ideas," said violinist Brian Hong, who vividly described his lessons with Zeitlin from the summer 2009 in this blog. He said he was a demanding teacher who "was also very persistent about not using the terms, 'up' and 'down' bow, but rather using the French terms, 'push' and 'pull', respectively, to help with my mental image of tone." Zeitlin was known for his passionate intensity; students have said that he could get pretty worked up at a lesson. "Mr. Zeitlin is a knowledgeable, tactful, and effective teacher," Hong said. "Even though he can be a bit sharp and gruff, he is a very caring person and only becomes more intense because he cares about each and every student he works with and wants them to reach their full potential. He was such an incredible, generous human being; what struck me at first when I met him was the fact that he would practice for 3-4 hours every morning, no matter what. Simply amazing." Indeed, Zeitlin continued to teach, and to play the violin, until the end of his life; here he is, at age 88, performing the Mozart "Rondo" K. 373 with pianist Barry Snyder. Violinist.com member George Philips said that "I have the utmost respect for his students. He makes them do so much more than just play their parts. For example, he'll make them read Brahms' letters if doing Brahms, write out the piano parts, study the culture of the time, etc. It's a process that seems to be slowly dying nowadays." He also engaged in that old-fashioned (but wonderful) practice of playing a bit of the orchestra part along with a student, as you can see, in this video of a masterclass with Zeitlin. A native of Belarus, Zeitlin grew up in Israel and attended Hebrew University. He came to Juilliard at age 11 as the institution's youngest-ever scholarship student. He studied violin Sascha Jacobsen, Louis Persinger, and Ivan Galamian. Zeitlin was known for championing Arnold Schoenberg's Violin Concerto, which Zeitlin premiered in 1964 in Buenos Aires. He recorded the work in 1971 with Rafael Kubelik and the Bavarian State Orchestra for Deutsche Grammophon, and that recording was reissued in 2004. He was also the dedicatee of Gunther Schuller’s first Violin Concerto, which was commissioned by Eastman as part of Zeitlin’s appointment as Kilbourn Professor in 1976. Aww, what a touching tribute, and I so enjoyed hearing the linked performance. At 88 years old, to boot - wow. Thanks, Laurie, for posting this. A life well-spent, a life well-honored. Like all my teachers, I carry what Mr. Zeitlin taught me with me wherever I go. One of Mr. Zeitlin's mantras was: "Technique is conception." What does that mean? It means that your concept of the music and of the sound that you want to produce dictates what you do with your technique in order to produce/create it. Everything you do is in service of the music. It also means your ability to conceive the music, to hear it in your head, and to visualize and feel that production (your technique on the violin) in your mind without the violin. He encouraged me to learn concertos from the score, not from the violin part. He was a mental gymnast. He taught me that thinking was more important than actually practicing. Of course, he taught us the basics of good sound production, i.e. how to articulate and how to project. How to slow difficult passages down in your mind so you can execute them well. How to release your muscles as you're going from one place on the violin to another. All invaluable things. I'm fortunate to have had other teachers with a less cerebral, more organic and heart felt approach to violin playing to balance Mr. Zeitlin's teaching. But all of Mr. Zeitlin's students came away with a great foundation for the development of great artistry, and many have gone on to great careers. That's what it was all about for Mr. Zeitlin, technique to serve the music. The last time I saw Mr. Zeitlin was January of 2007. After I left Eastman in 2003, I struggled with some personal problems and a finger injury, and I had just started to get my playing back in shape. I was a little lost and without direction. I wanted to get my life on track, and hopefully be able to get a job playing the violin. I went to visit Mr. Zeitlin in Rochester and played for him. I played a little, but mostly we talked. I was poor, living paycheck to paycheck, not knowing when the next gig would come, and worried about my future. Mr Zeitlin told me: "don't worry about money or the practicalities of life. Just keep becoming a greater and greater artist, and everything will fall into place." This was the most valuable piece of professional advice anyone ever gave me, and I have tried to put it into practice every day since then. I'm now making a great living making music, and have a great balance of financial stability and artistic fulfillment. I wrote to him in an email not too long ago that everything was falling into place, just like he said. He wrote back to say that he was proud of me. That was very meaningful, and demonstrative of what a heart he had, though he was a very tough teacher. I have been a student of Mr. Zeitlin for the past 6 years. I believe that I was the last student to see him before he went to the hospital. It was right after my jury. He came over to me and said, "You played very well. I would hug you, but I'm not feeling well." He shook my hand, and then hugged me anyway. I am going to miss him so much. In my last lesson before my jury, he said to me, "You know my motto: 'Hate me now, love me later.' Chuckle, chuckle, grin." I said to him, "Well, I love you now too!" He said, "I know, I love you too." > Mr Zeitlin told me: "don't worry about money or the practicalities of life. Just keep becoming a greater and greater artist, and everything will fall into place." Wow, this is just beautiful advice. Think I will take it to heart myself. What lovely stories all of you are sharing. Really neat to read. "Mr. Zeitlin one of the most influential people in my life. His had an uncanny way with words to the point that all of his students recorded every single lesson because if not, wise words would be forgotten in the hour, sometimes three hour, lessons. In my second to last lesson with Mr. Zeitlin he told me 'be faithful to your conception.' This is powerful advice, and seemingly more powerful since his passing. I will miss him, but he will be the voice in my head for the rest of my life." Marilyn, you have to be right about the dates if he was 90 and b-day is Feb. 21; I'm changing that. Room 309, Eastman School of Music, is alive with creative fire. The eyes of Heifetz, Stravinsky, Copland, Bernstein, Menuhin, Ysaye, Kreisler, and many others gaze out from ancient photos. Along the walls, imposing file cabinets burst with scores and handwritten letters from legendary composers and musicians. Near a towering shelf of LPs and tapes, a poster announces a concert long ago: Raphael Kubelic conducts the devilishly difficult Schoenberg violin concerto, performed by Zvi Zeitlin. Today, seated in his antique cushioned chair, in his dark blue sweater vest, Mr. Zeitlin, now 87, regards a fresh-faced student through gold-rimmed glasses. The young man hangs on Zeitlin’s every word, carefully thought through and expressed, as if notes in a symphony. He has seen Zeitlin walking slowly through the halls, smiling and acknowledging all who catch his gaze. But now, during the lesson, the freshman knows to expect the most bluntly honest and demanding teacher, possibly in the world. Like the room itself, time feels suspended during a lesson, which routinely lasts two hours or more. Zeitlin gives as many lessons each week as each student needs, whether one or seven. This lesson takes place on a Saturday afternoon. The young man tightens his bow, tunes his instrument, and begins the Allemande from the second partita of J.S. Bach. Zeitlin listens actively to the entire movement, and says in his Israeli accent, “Bravo.” He pauses. Then, as he elaborates, his voice gradually becomes agitated and harsh. He sings the first few bars of the Allemande, then plays them, emphasizing the harmonic changes within the melody. “Now play!” demands Zeitlin. As one observes this lesson, one thinks, few musicians have a career that spans seven decades, but even fewer have shared so much of their time and accumulated wisdom with thousands of students all over the world. Zvi Zeitlin manifests his experiences as a performer in his passion to teach the violin and create conscious, complete musicians. Later, Zeitlin shares some details of what has brought him to Room 309, and to this point in his life. He pauses, squints, points to a picture of Jacobsen, and says, “He was my first profound musical influence, with William Kroll, at Julliard. Kroll was a pupil of Marteau, a famous violinist who taught at the Geneva Conservatory, who succeeded Joachim, at the conservatory in Germany.” He then gently reminisces about Marteau playing in Israel. After studying with the famous pedagogue Ivan Galamian at Juilliard, Zeitlin made his debut in New York City in 1951, followed by years of touring with almost every major orchestra. Just before his appointment as professor of music at Eastman, in 1967, Zeitlin had substituted for Donny Guillet of the esteemed Beaux Arts Trio at the Jacobs School of Music in Indiana. Suddenly, Zeitlin points to a picture reminiscent of the lesson I had just observed: A young man with a violin stands next to an elderly man leaning precariously over a score. “This is the picture of me and Stravinsky when I performed his concerto with the Israel Philharmonic,” he says, and then begins to describe his first meeting with Stravinsky. Zeitlin’s manner is a function of his deep devotion to music and the world from which it emerged – much of which he knows through direct experience. Any observer is likely to sense a profound love that Zeitlin has for his students. All his criticisms, painful as they may be for students to hear, reflect his many decades of performing, teaching, and observing. Today, all is focused on requiring this student to rise to the highest standards and realize whatever promise he may show. In all the world, no teacher is more critical and, at the same time, more caring and loving to his students than Zvi Zeitlin. Mr. Zeitlin was one of the most caring human beings on the planet. Although I was only able to know him for these past 4 years, the twilight of his career, I was able to see what kind of a man he was and I will treasure the memories forever. The first time I played for him was in Miami in 2008...we met, shook hands, and I played the Schoenberg Phantasy for him in masterclass. The first words he told me were incredibly profound: "You are talented. However, talent isn't enough; you need to start thinking about the music you are playing. Only when you truly understand the composer, the music, and the medium will you be able to touch the heart of the audience." He loved music, he loved people, and he loved life. My close friend was supposed to have a lesson with him on Saturday, and Mr. Zeitlin came in, saying that he was very sick, and instead had my friend sit with him for several hours while they made phone calls together to other students and colleagues to let them know that he wouldn't be teaching for a while. He then checked into a hospital and passed away with pneumonia....working and performing till the very end. The world just lost an astounding human being. Professor Zeitlin is survived by his wife of 61 years, Marianne; children, Hillel (Karen) Zeitlin, Leora (Dr. Stuart) Kelter-Zeitlin; grandchildren, Gavriel (Ellisheva), Ariella (Chezky), Pnina, Shlomo; Jacob & Amalia; great-grandchildren, Dovid Nachshon & Eliora Sara Toba; and sister, Anba Kantor. Funeral services will be held at 1 p.m. on Friday, May 4, at Temple Beth El in Rochester, N.Y. The University flags across the University of Rochester campus will also be lowered that day in his honor. 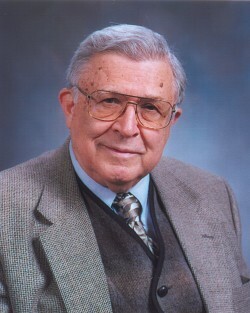 Donations in Professor Zeitlin’s memory may be directed to: Zvi Zeitlin Scholarship Fund at the Eastman School of Music, Office of Advancement, 26 Gibbs St., Rochester, NY 14604; or Zvi Zeitlin Scholarship Fund at the Music Academy of the West, 1070 Fairway Road, Santa Barbara, CA 93108. "Hate me now but, will love me later" - oh my gosh, what moving words from a teacher who must have genuinely genuinely cared about his students and their well being. Shiv- He sure did care about us, even while he was in the hospital, he was worrying about us... And our lessons. A few of his other composer jokes were as follows: which composer went to all of the premier concerts? -DEBUssy; which composer was always going off and coming back again? - Offenbach... He had the greatest sense of humor! I will never forget his laugh! The way he would chuckle when he said something really clever, or the way sometimes we'd both be in stitches, when he cracked a joke that was so funny on so many different levels, that the more you thought about it, the more you laughed!!!! I agree, there are a bazillion websites that repeat the at best misleading statement that he premiered the Schoenberg. They are wrong."